Imam Anwar al Awlaki held two important positions in the cobweb of international Jihadi terror. First, he was one of the emerging younger leaders of al Qaeda after the killing of Osama Bin Laden. Out of Yemen, from which his family originates, he had built a network of recruits capable of performing missions in the Arabian Peninsula, but also communicating with the Shabab of Somalia and many cells inside the West. His reach in recruitment was as far as Jihadists have been indoctrinated. 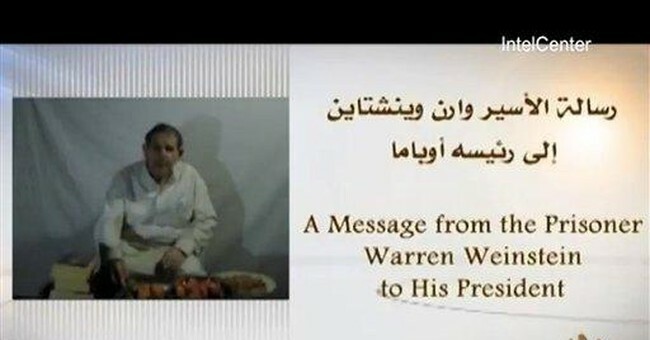 The Nigerian Abdelmutalib, known as the Christmas day bomber in the US, was also connected to the Yemeni-based cleric. 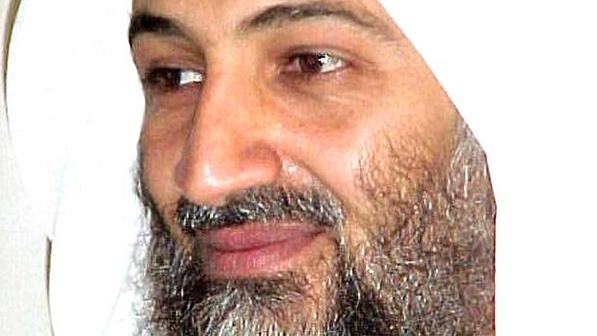 In a sense, al Awlaki was one of the most effective al Qaeda international officers. His loss will undoubtedly be felt –at least for a while – within the ranks of the network. But his other position is even more important to Americans. The New Mexico-born Jihadist had established a web of American citizens, indoctrinated and incited to strike against US national security. Shazad, the terrorist who tried to blow up a car in Times Square, and Major Nidal Hassan, who massacred more than a dozen military in Ft Hood, are just two sinister examples of the American Jihadi network linked to al Awlaki. His writings in American English, his speeches and his savvy knowledge of American culture and politics made him in reality the “emir” of US citizens who followed the Jihadi ideology. Thus, his killing is in fact a strike at the head of the most dangerous network operating inside American borders, not just internationally. From that perspective, the “coalition against terror” has scored a point in its war with al Qaeda. But, although this could be coined as a major tactical victory, it is not a strategic one. As I made the case with Osama Bin Laden’s elimination, the US is not at war with a mafia of criminals who would be impressed with the elimination of the capo. The Jihadists who have already been indoctrinated won’t be deterred by the missiles or bullets that took the lives of their emirs or commanders. In fact, just the opposite will occur. The “martyrdom” (al Istishaad) of these al Qaeda leaders will be viewed from the prism of the ideology that transformed their universe. Osama and Anwar are now seen as floating in the Jenna (heaven) while the Jihadi mission will rest upon the shoulders of the next wave, and on and on. Western-minded people, or non-Jihadi individuals in the Arab world, understand the concept of deterrence. The Jihadists, Salafists or Khomeinists, are brought up to feed from the martyrdom of their leaders and brothers in arms and take strength from that, so that they don’t react in fear. There is not now, and won’t be, any victory in the War on Terror (or the war with the Jihadists) unless there is a victory in the War of Ideas, which means that the ideology producing and inspiring the terrorists and would-be terrorists has to be identified and responded to. Naturally, the best parties to engage in this counter campaign are the societies where it has been breeding, in the Greater Middle East where there are the anti-Jihadists, civil societies and secular forces. Unfortunately the current Administration and the bureaucracy of the past Administration did just the opposite. Instead of identifying the Jihadi ideology, they covered up for it. And instead of partnering with the secular and democratic forces in the Arab Spring, Washington today is flirting with the Muslim Brotherhood. Hence, while our intelligence and military are successful in their part of the war by eliminating the war lords of Jihadism, our foreign policy and domestic policies are allowing the Jihadists, with their Islamist ideological roots, to grow. Therefore the killing of al Awlaki is a small victory in an ocean of defeat. The immediate question in mind is: who is next. Remember that al Awlaki operated within the US openly, as he even was invited to lecture at the Pentagon. Major Hassan, too, delivered lectures within our defense establishment. Also, In the past decade, a prominent member of an Islamist lobby group, Ismael Royer, was part of a terror training network in Virginia. The list is long. So the undeniable outlook for the future is quantitative: al Awlaki is gone but his Jihadists have been multiplying. FamilySecurityMatters.org Contributing Editor Dr Walid Phares is the author of The Confrontation: Winning the War Against Future Jihad and The Coming Revolution: Struggle for Freedom in the Middle East. He is a Professor of Global Strategies in Washington DC. He advises members of the US Congress and the European Parliament. On September 27, 2011, the media wing of Al-Qaeda in the Arabian Peninsula (AQAP) released the seventh issue of the English-language jihadist magazine Inspire. The cover of the 20-page issue, which is dated Fall 1432 (2011), shows an image of the World Trade Center made out of dollar signs. The cover story, written by editor-in-chief Yahya Ibrahim and titled “The Greatest Special Operation of All Time,” is dedicated to the attacks of September 11, 2001. The magazine was released 16 days after the 10th anniversary of 9/11, and was provided exclusively to the Al-Fida forum, which is operated by Al-Qaeda’s media company Al-Fajr. 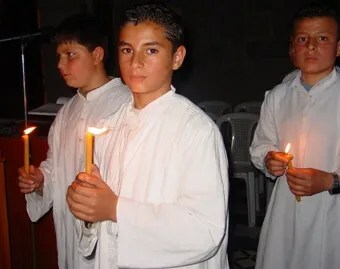 It can be assumed that the venue was Al-Fida because the main jihadi forum Shumoukh Al-Islam, which released all previous issues of Inspire, went offline on September 26, 2011, after loading slowly for several days. A message posted by one of its administrators on Al-Fida claimed that Shumoukh Al-Islam had been shut down for maintenance and would be back online shortly. However, Al-Fida members speculated that Shumoukh had been the target of a cyber attack. The magazine was released about 24 hours after Shumoukh went offline. Shumoukh reappeared online about five hours later, and this incident is similar to what happened prior to the release of the first issue of Inspire, in June 2010. According to media reports, a debate was underway about Inspire magazine within the U.S. government and military; there were also reports of the U.K. government’s handling of online jihad, and Inspire magazine in particular. A June 2, 2011 article in The Guardian revealed that U.S. Cyber Command chief Gen. Keith Alexander had argued that blocking the online release of the magazine was a legitimate counterterrorism objective, while the CIA argued that such an action would expose sources and methods and disrupt an important source of intelligence. According to the report, the CIA won out, and the proposal to block the magazine’s online release was rejected. But as the debate was underway within the U.S. government, British government cyber-warriors went ahead with their own plan, and corrupted the original release. In the cover article, titled “The Greatest Special Operation Of All Time: The Expeditions Of Washington D.C. And New York,” editor-in-chief Yahya Ibrahim sets out the reasons behind the 9/11 attacks and the consequences of the attacks for the U.S. Ibrahim says that the 9/11 attacks were catalyzed by decades of American aggression [against Muslims], and by U.S. support for the state of Israel – support, he said, that is the main reason behind the continued Israeli occupation of the Holy Land. He enumerates further reasons for the 9/11 attacks: the U.S. attack and subsequent embargo of Iraq in the first Gulf War, which led to the deaths of over a million and a half Iraqis; the desecration of the Arabian Peninsula by its stationing of troops in Saudi Arabia; and U.S. support for authoritarian regimes [in the Arab world]. In another lead article, U.S.-born Samir Khan hails Al-Qaeda’s “media jihad” as a component in the war against the U.S. that is equal in importance to actual attacks on it. Khan asserts that Al-Qaeda has won the preliminary stages of the battle for the hearts and minds of Muslims, thus ensuring that the organization’s ideology will live on. One of the reasons for this victory, he explains, lies in the fact that the West and the media present Al-Qaeda’s ideology as nothing but terrorism, whereas the organization’s creed is that of Islam, a fact that earns it the support of Muslims. Khan concludes the article by listing the four key elements which enable Al-Qaeda to win the media war: the technological savvy of Al-Qaeda’s media operatives, the U.S.’s failure to respond to Al-Qaeda’s propaganda, the U.S.’s media “blunders” which damage its image in Muslim public opinion, and the general suspicion with which Muslims view the U.S. This section of Inspire comprises 10 pages of photos of the 9/11 attacks, with quotes from Al-Qaeda leaders, including Osama bin Laden, Ayman Al-Zawahiri, Khalid Hussain, Abu Musab Al-Suri, and Anwar Al-Awlaki. Also included are quotes from leaders of Al-Qaeda offshoots AQAP and Al-Shabab. A Threat Against New York? 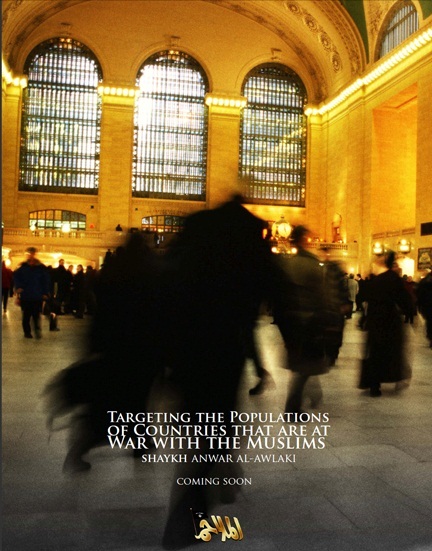 The last pages of the magazine include a quote by Faisal Shahzad, perpetrator of the failed May 1, 2010, Times Square car bombing: “Brace yourself for war with Muslims. 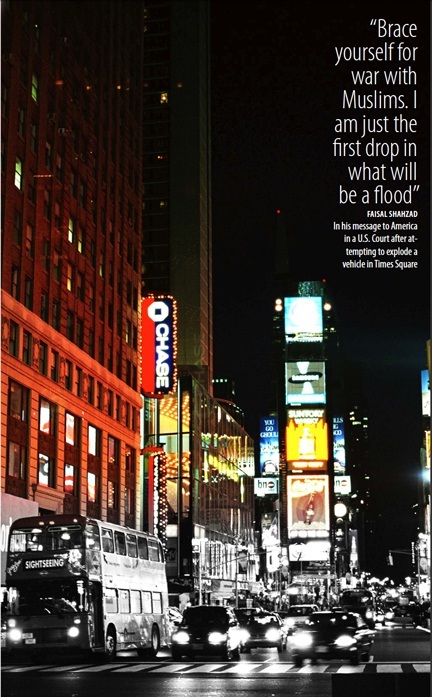 I am just the first drop in what will be a flood.” The quote is superimposed on a photo of Times Square. As in previous issues, Issue VII offers readers encryption codes for directly contacting them. They also note to readers that they have changed their public encryption code. See MEMRI Special Dispatch Report No. 4166, “Uncertainty on a First-Tier Al-Qaeda Forum After Apparent Cyber-Attack – Followed By Release of Issue 7 of AQAP’s ‘Inspire Magazine’,” September 27, 2011. The Guardian, June 2, 2011. Vice President of Tactical Intelligence Scott Stewart analyzes the latest edition of al Qaeda of the Arabian Peninsula’s English-language jihadist magazine. Last week, al Qaeda of the Arabian Peninsula released the fifth edition of “Inspire,” their English-language magazine. We’re going to take a look at “Inspire” now to see what it says about the organization. Like many of the other editions of “Inspire,” this one has a wide range of articles. Some of the content is original, but much of it is borrowed from elsewhere. For example, there are two articles that reproduce speeches that were given by al Qaeda No. 2 man Ayman al-Zawahiri who’s an Egyptian doctor. One of the recurring themes we’ve seen in this magazine has been the theme of jihadists being radicalized in the West by this magazine but then conducting attacks in the West. This theme like in past editions has been echoed over and over and in fact we see at least three repetitions of it in this magazine. “Inspire” magazine has a regular feature called “Open Source Jihad.” And this is the feature that is intended to train these lone wolves and small cells in the West to conduct attacks and to provide them with the tools necessary to do attacks. However, in this edition of the magazine, the only article that’s in the “Open Source Jihad” section is an article on field-stripping the AK-47. And obviously that’s not a particularly useful skill for someone in the West looking to conduct a terrorist attack. To help place “Inspire” in context, it’s important to remember that Samir Khan was raised in the United States and he was living in his parents’ house in North Carolina, publishing jihadist literature from the U.S. for several years. After receiving pressure from the FBI he moved over to Yemen and began publishing “Inspire.” But it’s important remember that he is really more of a jihadist cheerleader and not a real seasoned and battle-hardened veteran. Khaled Hussein Ali was born in 1970 in eastern Lebanon. Follower of the Sunni stream of Islam, military service. Then disappeared. In early 1990, reappeared in Sao Paulo. He married and had a daughter. Thanks to her, obtained in 1998 the right to live in Brazil. Lives in Itaquera, East Zone of São Paulo, and supports his family with the profits from an Internet cafe. Ali leads a double life. It is one of the chief propaganda arm of Al Qaeda, the terrorist organization headed by Osama bin Laden. São Paulo, the Lebanese extremist coordinates in seventeen countries. The text or video of Bin Laden’s disciples are not made available by its approval. More: it is for the Lebanese to give logistical support to al-Qaida operations. He is part of a terrorist network that extends its tentacles in Brazil. Treated as “Prince” by his henchmen, Ali was followed by four months by the Federal Police until his arrest in March 2009. 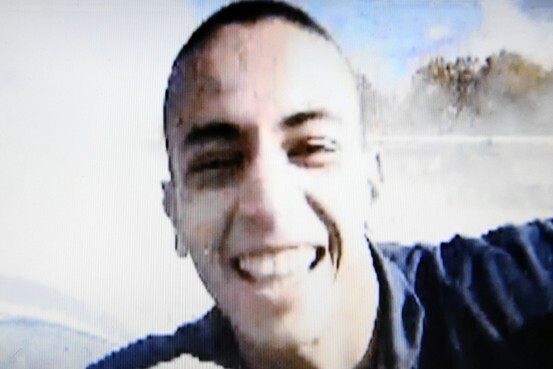 Besides the evidence of terrorism on the Internet, Federal Police found the computer of spam sent Ali to the U.S. to incite hatred of Jews and blacks. Approached by Veja, Ali denied his identity. This material, however, allowed the Federal Police to indict the racism, incitement to crime and gang formation. Saved himself from charges of terrorism because the Brazilian Penal Code does not provide for this crime. The Lebanese stayed 21 days in prison. He was released because the prosecutor did not report to the Federal Justice. Cases like Ali feeds the divergences of the U.S. government with Brazil. Two months ago, SEE had access to reports of PF on the terror network in Brazil. Besides Ali, twenty militants of Al Qaeda, Hezbollah, Hamas and other groups use or have used Brazil as a hideout, logistics center, a source of raising money and planning attacks. The magazine report also obtained reports sent to Brazil by the U.S. government. These documents allow you to see pinpoints Ali and four other extremists. They live in Brazil as if they were ordinary citizens. Although the author of the research, PF takes an ambiguous behavior to comment on the findings of its staff. The institution dodges, saying it “does not label people or groups who could otherwise act with inspiration terrorist.” This discourse dubious and inconsistent not only facilitates the entrenchment of extremist organizations in Brazil and creates great risks for the immediate future. Afghan President Hamid Karzai announced March 22 the first seven areas of the country where responsibility for security would be handed over completely to Afghans: the provinces of Panjshir, Bamian and Kabul (except the restive Surobi district, though the rest of Kabul’s security effectively has been in Afghan hands for years) and the cities of Mazar-e-Sharif, Herat, Lashkar Gah and Mehtar Lam. Consistent with the American exit strategy of “Vietnamization” of the conflict, the real trick will not be the first areas handed over. The first are the easiest to hand over, like the already relatively calm and safe areas of Kabul. The main issue will be discovering whether Afghan forces are sufficient to hold the line against the Taliban in more contested areas. And in this sense, Mehtar Lam (not far from the Pakistani border in the east) and particularly Lashkar Gah (the capital of Helmand province in the country’s restive southwest) will be the most important to watch. In Lashkar Gah, there have already been signs of a successful intimidation campaign by the Taliban ahead of the anticipated spring offensive. Cellular service providers in the capital have shut down service in compliance with Taliban demands, and that shutdown appears to be entering its second week. A shutdown of cellular towers at night has long been a common demand by the Taliban to prevent locals from informing on the Taliban’s nocturnal movements and activities, whether those be emplacing improvised explosive devices or other intimidation efforts. Despite assurances from Afghan security forces that cellular service providers, their families and their infrastructure, in particular the cell towers, would be protected, the providers have remained united in their observance of the Taliban demands. Lashkar Gah has been a focal point of the U.S. Marine-led campaign in Helmand to push out the Taliban and deny them the support of the population. In many ways, this has been considered a success. However, one of the most pervasive problems of providing security for the population is the insurgents’ inherent ability to move among the population and threaten retribution if their demands are not met. The Taliban’s successful intimidation campaign in an area where Afghan government officials and security forces’ operations are concentrated is an ominous indication for International Security Assistance Force (ISAF) efforts as the fighting season heats up. It not only speaks to the Taliban’s ability to provoke fear and to the population’s susceptibility to intimidation but also serves as a potential indicator of the local population’s confidence in the Afghan security forces’ ability to provide for that security. Here is where community police can be particularly effective. Armed locals deny the insurgency some of the advantages that a guerilla movement enjoys against a foreign occupier. There have been many attempts at establishing coherent community police programs. Kabul has opposed them several times as they were often created outside the aegis of the Afghan government in arrangements made directly between ISAF forces and locals. The attempt now under way in Logar province reportedly started on the governor’s initiative, which intended integration with the Afghan government in Kabul. It trains individuals nominated by the local elders who would be responsible for them (if, for example, they are caught fleecing the local population) and keeping them in their local communities — maximizing the utility of their unique knowledge of the local landscape. This is not unlike the Interim Security Critical Infrastructure (ISCI) program in Marjah, though ISCI was more directly facilitated by the ISAF). Meanwhile, Helmand’s border with Pakistan remains a concern. 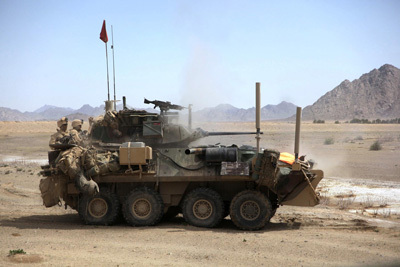 Raids and screening efforts by the 3rd Light Armored Reconnaissance battalion last year are resuming, aiming to provide a more sustained presence to deter the flow of fighters, weapons and material to and from Pakistan in a more coherent way. As Lashkar Gah and other portions of Helmand are turned over to Afghan security forces, Marines freed up from those efforts could be shifted south to reinforce efforts to lock down the border. Al Qaeda militants on March 22 surrounded a Yemeni army unit in Loder in the southern province of Abyan, leading to a firefight in which two militants died and a third was injured, a security official said, AFP reported. The official said five soldiers were injured in the three-hour clash, in which both sides used artillery, machine guns and rocket-propelled grenades. 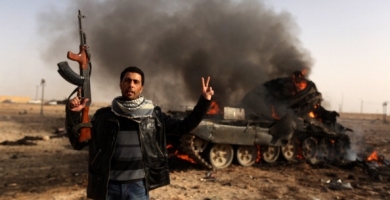 A witness said the bodies of three al Qaeda fighters were removed from the scene.